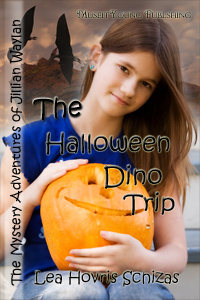 Jillian is planning her first big Halloween party and hopes the weather holds out. everyone is in for the surprise of their life. Her backyard is gone. In its place greenery filled with tall trees, a variety of bushes, and…DINOSAURS?